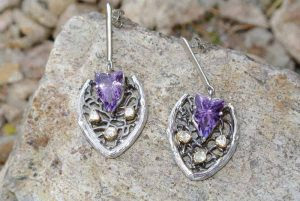 These nature-inspired earrings made in 18-karat gold and sterling silver feature amethyst and high-quality sliced diamonds. Retail sales of diamonds are slowing down globally. There are several factors contributing to this, but the Canadian retailer is hit especially hard because of changing consumer attitudes and population demographics. A growing percentage of the population comprises aging individuals for whom luxury spending is no longer affordable. The younger generation of consumers, the so-called millennials, appear to be less attached to the tradition of diamond jewellery than their parents and grandparents. The young consumer of today is more value-conscious, more concerned with sustainability and ethical production, and often values unique and individual products over items that are standardized or mass-produced. Retailers can combat these problems by having a wide range of price points in their selling baskets. A good combination of individualistic design and an affordable price is attractive to both millennials and older people. Millennials are also marrying later. The median age for them to marry has come to be 27 for women and 29 for men, and a lot more couples live together without getting married. (For more, see these article from the Toronto Sun and the Toronto Star.) 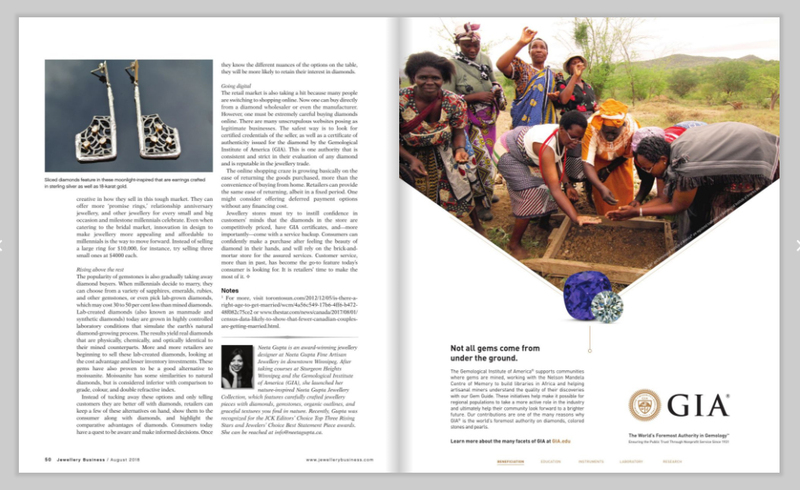 That translates into a huge challenge for the diamond business. It is important for retailers to get creative in how they sell in this tough market. They can offer more ‘promise rings,’ relationship anniversary jewellery, and other jewellery for every small and big occasion and milestone millennials celebrate. Even when catering to the bridal market, innovation in design to make jewellery more appealing and affordable to millennials is the way to move forward. Instead of selling a large ring for $10,000, for instance, try selling three small ones at $4000 each. The popularity of gemstones is also gradually taking away diamond buyers. When millennials decide to marry, they can choose from a variety of sapphires, emeralds, rubies, and other gemstones, or even pick lab-grown diamonds, which may cost 30 to 50 per cent less than mined diamonds. Lab-created diamonds (also known as manmade and synthetic diamonds) today are grown in highly controlled laboratory conditions that simulate the earth’s natural diamond-growing process. The results yield real diamonds that are physically, chemically, and optically identical to their mined counterparts. More and more retailers are beginning to sell these lab-created diamonds, looking at the cost advantage and lesser inventory investments. These gems have also proven to be a good alternative to moissanite. Moissanite has some similarities to natural diamonds, but is considered inferior with comparison to grade, colour, and double refractive index. 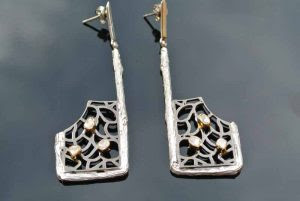 Sliced diamonds feature in these moonlight-inspired earrings that are crafted in sterling silver as well as 18-karat gold. 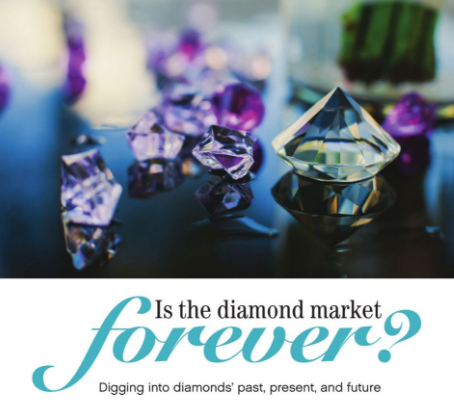 Instead of tucking away these options and only telling customers they are better off with diamonds, retailers can keep a few of these alternatives on hand, show them to the consumer along with diamonds, and highlight the comparative advantages of diamonds. Consumers today have a quest to be aware and make informed decisions. Once they know the different nuances of the options on the table, they will be more likely to retain their interest in diamonds. The retail market is also taking a hit because many people are switching to shopping online. Now one can buy directly from a diamond wholesaler or even the manufacturer. However, one must be extremely careful buying diamonds online. There are many unscrupulous websites posing as legitimate businesses. The safest way is to look for certified credentials of the seller, as well as a certificate of authenticity issued for the diamond by the Gemological Institute of America (GIA). This is one authority that is consistent and strict in their evaluation of any diamond and is reputable in the jewellery trade. The online shopping craze is growing basically on the ease of returning the goods purchased, more than the convenience of buying from home. Retailers can provide the same ease of returning, albeit in a fixed period. One might consider offering deferred payment options without any financing cost. 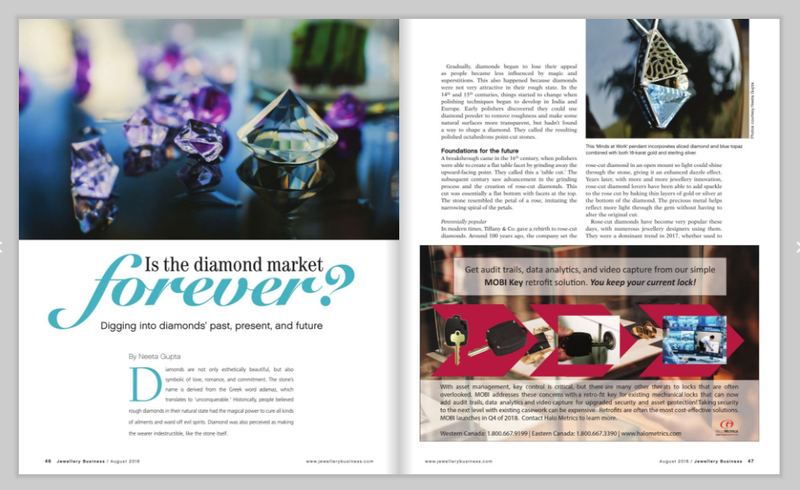 Jewellery stores must try to instill confidence in customers’ minds that the diamonds in the store are competitively priced, have GIA certificates, and—more importantly—come with a service backup. Consumers can confidently make a purchase after feeling the beauty of diamond in their hands, and will rely on the brick-and-mortar store for the assured services. Customer service, more than in past, has become the go-to feature today’s consumer is looking for. It is retailers’ time to make the most of it. 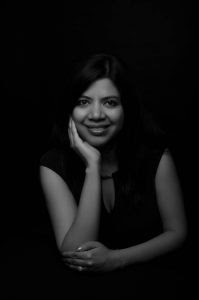 Neeta Gupta is an award-winning jewellery designer at Neeta Gupta Fine Artisan Jewellery in downtown Winnipeg. After taking courses at Sturgeon Heights Winnipeg and the Gemological Institute of America (GIA), she launched her nature-inspired Neeta Gupta Jewellery Collection, which features carefully crafted jewellery pieces with diamonds, gemstones, organic outlines, and graceful textures you find in nature. 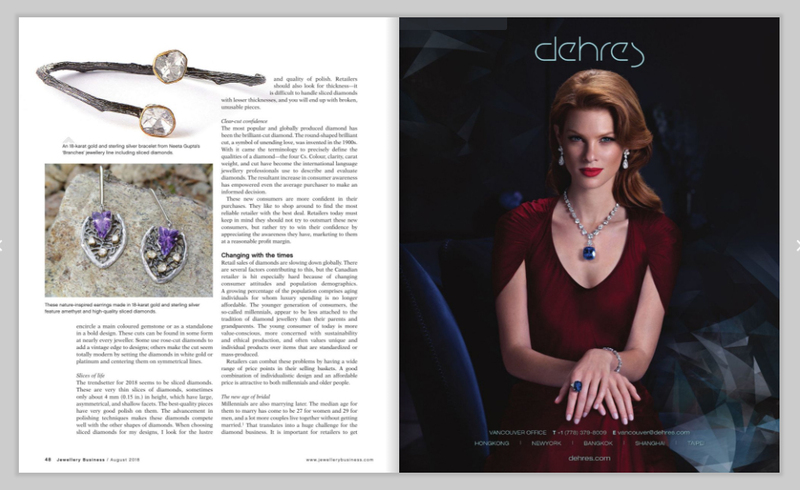 Recently, Gupta was recognized for the JCK Editors’ Choice Top Three Rising Stars and Jewelers’ Choice Best Statement Piece awards. She can be reached at info@neetagupta.ca.